Your eyes like any part of your body has a limited capacity to the work it can do before it tires. We often do not think of our eyes in the same way as we think of our arms, brain or even our body in general. We expect our eyes to work continuously for 16 hours or more every day and to keep functioning at its optimum throughout the waking hours. Eye fatigue is often misunderstood and it can be detrimental to vision in the long term. Yet it is easily prevented by good eye care earlier in life. Dryness of the eyes although there may initially be watery eyes. Redness of the eyes from dryness and overuse. Disturbances in vision such as blurring or even doubled vision. 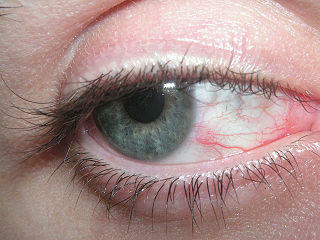 Soreness of the eyes, burning eyes and eventually even eye pain. The situation is often worse in people who use contact lens for long hours or do close range work such as staring at computer screens and prolonged reading. It is further exacerbated by either very dim or very bright lighting and insufficient rest breaks or too few hours of sleep. Tired eyes or ocular fatigue is just another way of describing eyestrain but sometimes we do not experience any symptoms in the early stages of eyestrain or ignore it until the eyes are extremely exhausted and the only solution is to shut your eyelids and rest the eyes. Contrary to popular belief, eyestrain does not only affect people who sit in front of a computer screen all day, watch TV or play video games for long hours or who read a lot. While these may be the more common causes of eyestrain, not sleeping early enough or even languishing in a pool on a sunny day can strain the eyes. In fact the activities of daily life can also lead to eye fatigue if you do not take the time to rest the eyes. The problem is multi-faceted. Firstly the tiny muscles that control the amount of light entering the eyeball through the pupil, and the muscles that control the shape of the lens to focus light become fatigued over long hours of use. Secondly the eyes dry excessively during these long hours of use particularly if a person blinks too few times as they tend to do when staring at a fixed object in deep concentration. Apart from the dryness causing discomfort, it also impairs the oxygen supply to the cornea (the outer transparent part of the eye). Normally oxygen dissolves in the tears to nourish the corneal tissue since the cornea does not have a blood supply. Dry eyes therefore means less oxygen and this further ‘fatigues’ the eye tissue. Coupled with the irritation of the eye tissue caused by dryness and fatigue, it leads to redness as tiny blood vessels dilate. Staring at fixed distances for long periods of time is one of the leading causes of eyestrain these days. Books, mobile devices, computer screens and televisions are objects that are often viewed at a close distance and at a fixed position. The long hours of staring at these fixed distances means that the eye does not get the opportunity to shift focus on objects at varying distances. Very dim or very bright light also causes eyestrain especially if it is sustained over long periods of time. The artificial lighting from electronic devices such as computer screens and televisions may not seem very bright but in close proximity and over long periods it is taxing on the eye. Bright sunlight without adequate protective eyewear can cause significant eyestrain within minutes. Similarly using your eyes in activities like reading in dim light also strains the eye. Studies have shown that people tend blink less when they partake in activities that they captures their attention especially when it is at close distance. This therefore often occurs with reading, watching TV, playing video games, using computers and long periods on mobile devices. Blinking is important for maintaining the moisture in the eye. The benefits of sleep is well known for physical and mental health but we often do not realize how important sleep is for eye health as well. Insufficient sleep does not allow the eyes enough time to rest and recuperate in much the same way as other parts of the body are affected. In addition insufficient sleep on a regular basis also contributes further to eye dryness. The focus should be on ways to avoid eyestrain rather just treating it once it arises. The main way to treat eye fatigue is to rest the eyes. No specific medication is required as eye fatigue is a temporary condition that will resolve with rest. While lying down or sleeping in a dark room may help, it is not always necessary. Walking around while looking at objects of varying distances and using protective eyewear can give the eyes the break it needs to recuperate. Cool compresses over the eyes for short periods of time. Never use ice directly on the eyelids. Using artificial tears which can be purchased from most pharmacies and even large supermarkets. Moisturizing the air within a room by using a humidifier especially if living in a dry climate. Adopting the 20-20-20 rule by looking at an object that is about 20 feet away from you for 20 seconds about every 20 minutes. Blink frequently and remind yourself to do this by sticking up signs around the area where you tend to strain your eyes the most.